1984. 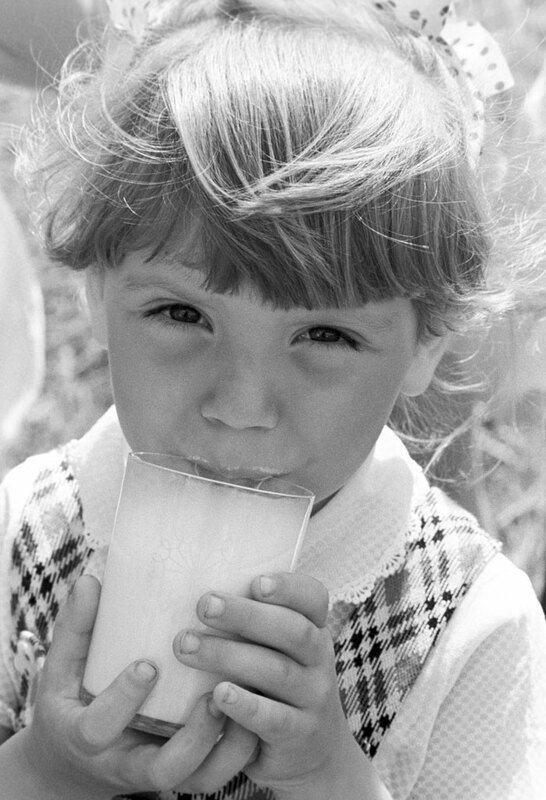 A girl drinks milk at a kindergarten attached to the Lenino stud farm (now Belarus). 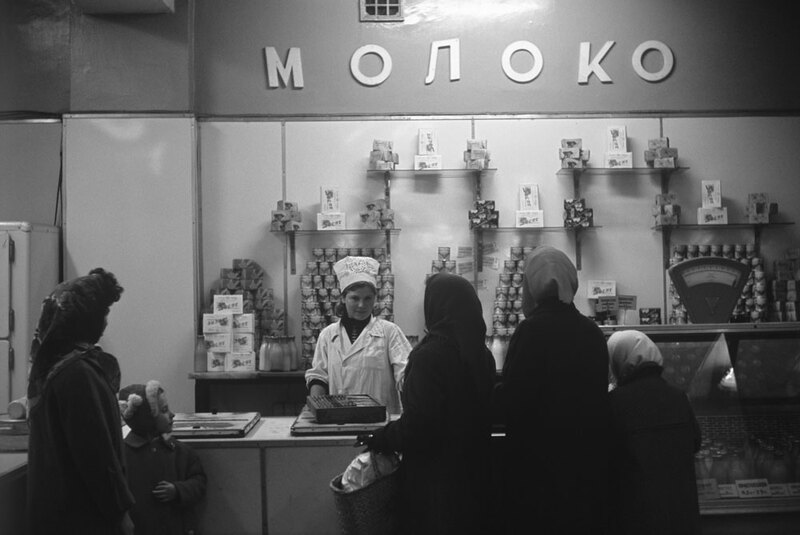 Milk and dairy products were of great importance in the USSR. These photos prove it. 1944. Riga (now Latvia). 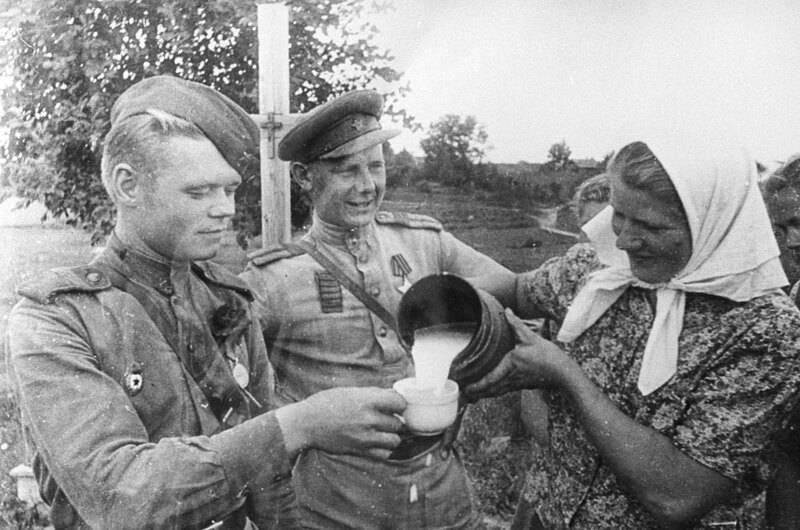 A woman treats Red Army soldiers to a jug of milk. 1967. 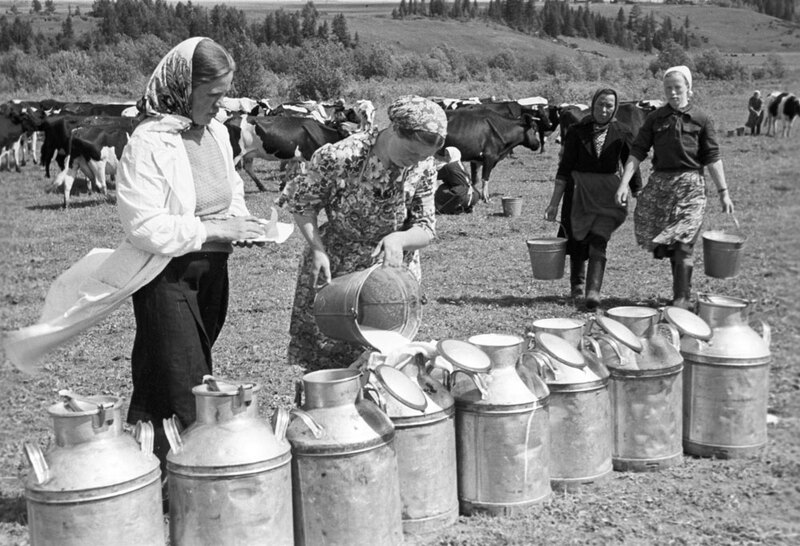 Dairy women working at the Red October collective farm in the Kirovregion (Northern Urals). 1966. 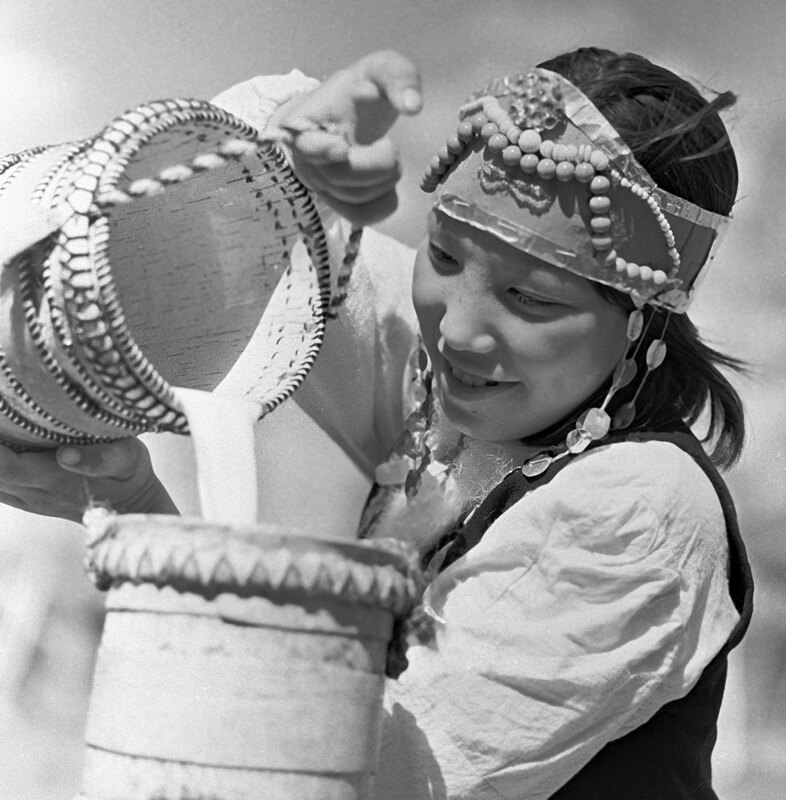 A Yakutian girl pours kumis (mare's milk) into a tub. 1984. 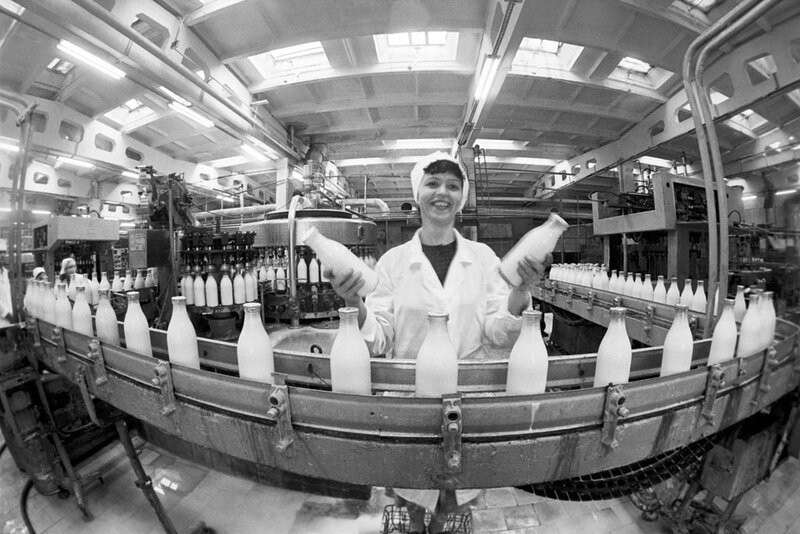 Milk bottling at a dairy plant in Barnaul (Altai, Southern Siberia). 1972. 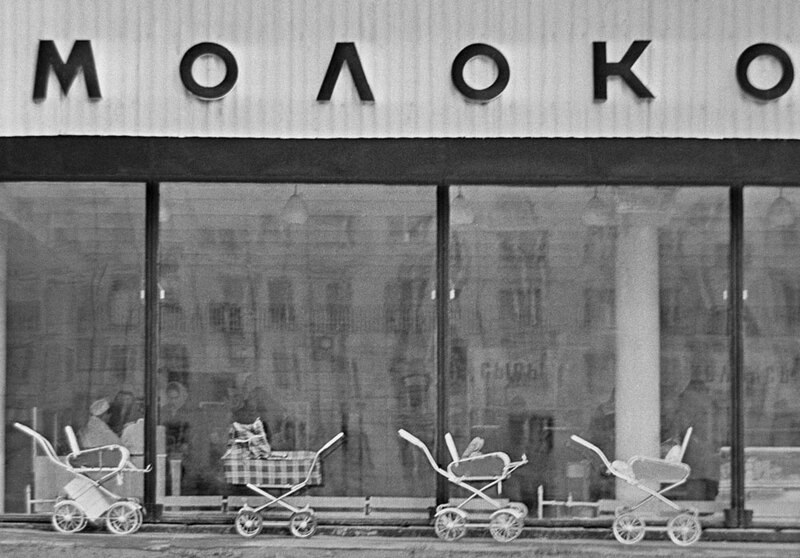 A grocery in southern Moscow. 1974. 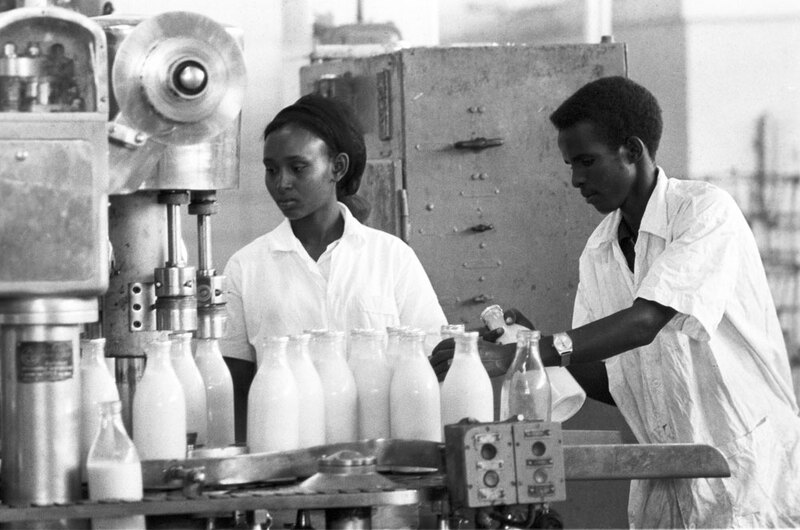 Employees of the milk processing factory in Mogadishu, Somalia. The local plant was built by Soviet engineers. 1959. 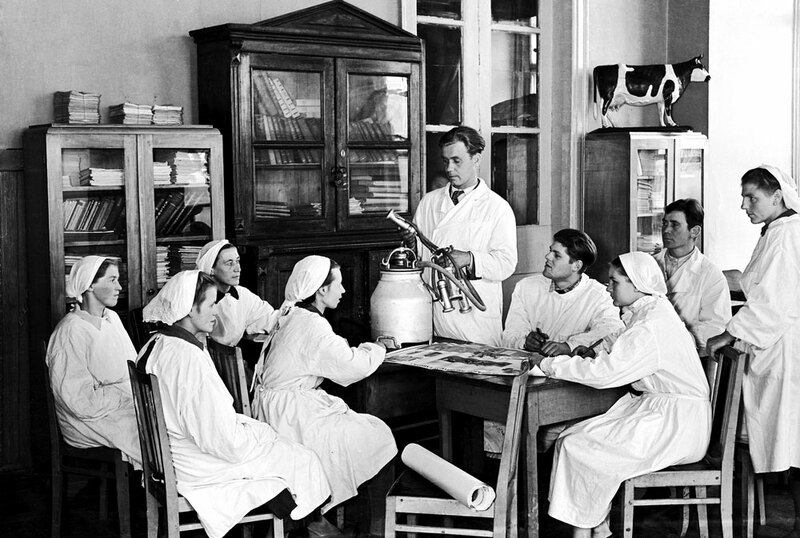 Milkmaids examine a new milking machine at the Alexinsky collective farm in the Smolensk region (400 km west of Moscow). 1976. 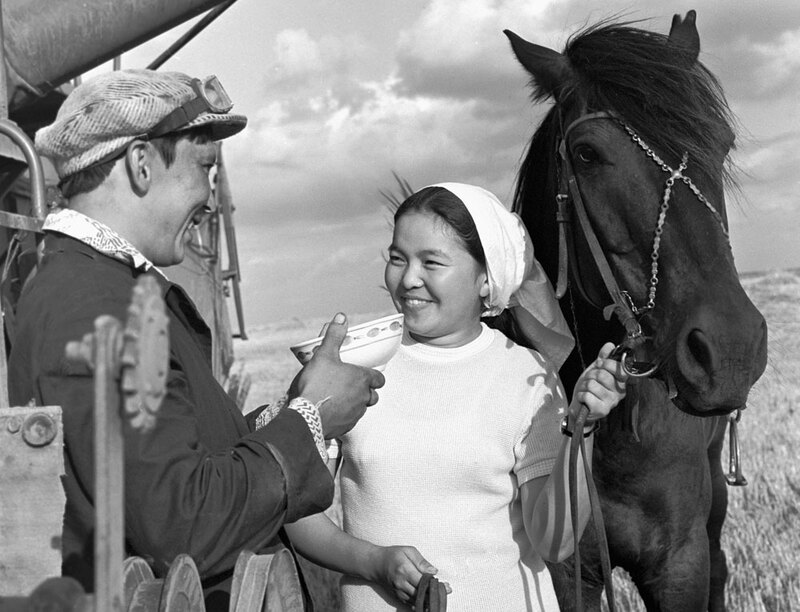 A milkmaid from Kazakhstan offers a bowl of kumis to a combine driver. 1986. 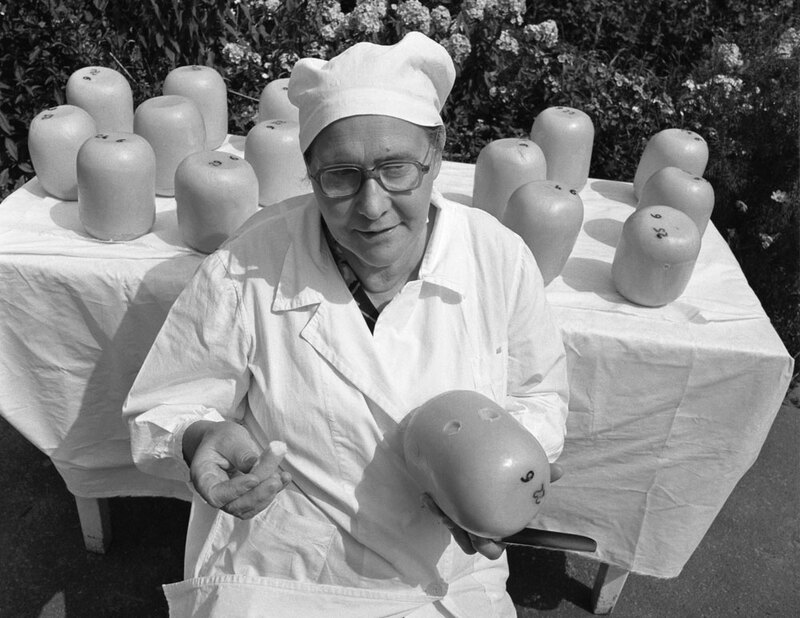 Nina Chervyachenko, chief cheese-maker of the Maryino collective farm in the Kursk region (500 south of Moscow).